The City awarded a R126 million tender to Chinese manufacturer Build Your Dreams (BYD), which has supplied electric vehicles worldwide, including 51 single-decker buses to London. Only an average of 27 events are hosted at the stadium every year, and over R50 million is lost annually due to low usage and high maintenance costs. While shark attacks are rare in the Cape, ocean-goers still need to be aware of what’s happening both on and under the water. In aid of this, the City of Cape Town announced the launch of the Shark Spotters app at the end of last month. There is a funky lounge area with happy hour performances and 2-for-1 drink specials. There is a bank and a number of food stalls in the busy street outside. Car guards scatter the area with torches and yellow visibility vests. You can’t miss it, it is being advertised everywhere. Internationally renowned, multiplatinum-selling band Mumford & Sons will be screening their concert film, Live from South Africa: Dust and Thunder at POST | CITY STUDIOS in Cape Town from 8 – 22 November 2016. The film, shot in Ultra HD, will be presented in immersive surround sound in SoundMax | 3D Cinema. Drink a beer and save a penguin. Sound good? A new app providing details on the development of the upcoming Harbour Arch reveals conceptual images for Cape Town’s latest inner-city, mixed-use precinct. The ‘Arch for Arch’ is a commission by Design Indaba as a tribute to Archbishop Desmond Tutu. It celebrates the free SA that Tutu and his peers fought to build, and plays on his country’s affectionate nickname for the 1984 Nobel Peace Prize winner. Award-winning director Marthinus Basson launches Cape Town Opera’s 2017 season with a contemporary staging of Verdi’s Rigoletto that places themes of power, money, corruption, abuse, misogyny and prejudice in an African context. Following the protests in Hout Bay recently, some privileged people in the valley spent the weekend immersed in the community living in the temporary relocation area, as part of the #onehoutbay initiative. The third annual Cape Town Fringe, which runs 22 September to 8 October, has evolved into a “17-day theatre binge”, accommodating more night time performances this year, but extending into the day on weekends and school holidays. A ‘Re-optimised’ setup results in CO2 emissions 60% lower than those of the previous scenario, 60% lower water usage, and a saving of R87-billion per annum by 2040. This translates into electricity costs roughly 18% lower per kWh. Justin Davy or DjyGhoemaHare is an emerging visual artist from Cape Town. Having completed his studies at the prestigious Gerrit Rietveld Academy in Amsterdam, he has returned to the mothercity where he has immersed himself in various projects and exhibitions. In Fortyfied, as in most of his previous shows, Nik explores a variety of subjects. There will be stories, there will be moments of discomfort, there will be accents. And – it will all be funny which is all you really have to know. 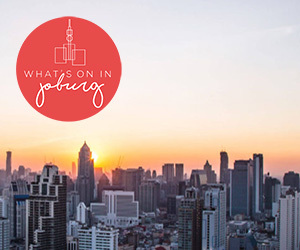 As the penultimate school term draws to a close and the Cape Town days grow warmer, the City has endless entertainment and enrichment to offer to denizens and holidaymakers alike. Not every story needs hours of film or hundreds of pages to be told. Some are better suited to short form, and it’s with this in mind that I checked out the Shnit Short Film Festival. Shnit is now in its thirteenth year globally and is currently running in eight cities around the world. The sixth Cape Town edition opened on Wednesday evening with a carnival-themed party at The Castle and an outdoor screening of some of the best international films from the line-up. The festival continues with screenings at The Labia and the Company Gardens in the CBD, and Cinemuse in Stellenbosch. Tickets are for selections of 6–10 films, and you can choose between international and South African film. The new Cape Town Pass was launched on 2 September this year. The iVenture Card was launched on 27 October. Both options offer fast-track access to top attractions in the Cape, as well as discounts at restaurants, entertainment venues and activities in and around Cape Town. But where do they differ? One of South Africa’s leading and most prestigious chamber music organisations, the Cape Town Concert Series provides a platform where the finest South African talents from all sections of our country’s diverse communities are presented alongside the best on offer from the international community. Table Mountain Aerial Cableway Company has been unable to reach a settlement on salary increase negotiations with its staff members. Staff will be going on strike from tomorrow, Wednesday 28 September 2016 for an as yet unidentified period. An impressive four of the finalists – Caroline Nkwe, Noluvuyiso Mpofu, and husband-and-wife Lukhanyo Moyake and Siphamandla Yakupa – were South African. As the weather warms up, so too does the symphony season across the Cape. Once again the Cape Town Philharmonic Orchestra is offering a great lineup and – with shows beginning to sell out – it has announced that its dress rehearsals will be opened to the public at just R50 per ticket. Cape Town is the newest member of the World Energy Cities Partnership (WECP), with hopes to become a major oil and gas capital and create access to much-needed employment opportunities.